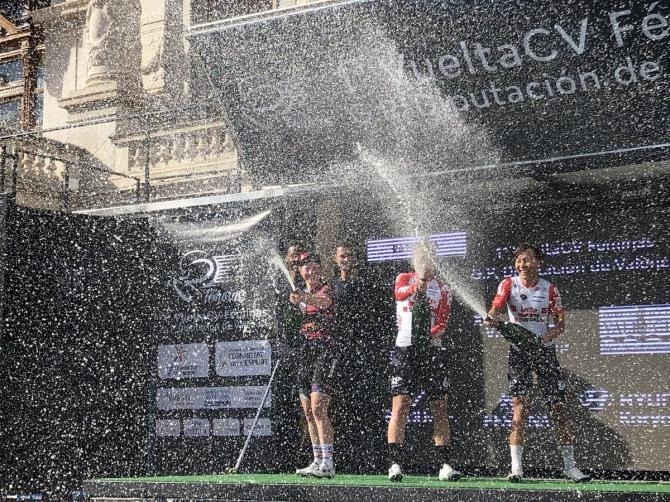 HÀ NỘI — Nguyễn Thị Thật of Việt Nam, the only Asian among 114 cyclists of 19 teams, finished third at the inaugural edition of the Vuelta a la Comunitat Valenciana Feminas in Spain on Sunday. Her Belgian Lotto Soudal Ladies teammate Lotte Kopecky took top position in 2 hours 8.19 minutes on the 88.5km course from Paterna northwest of Valencia, before returning for four laps around Valencia itself. She beat Canyon-SRAM’s Alice Barnes by almost a bike’s length, and Thật was a hair behind. Three years after reviving the men’s stage, organisers introduced a one-day women’s race to take place ahead of the final stage of the men’s event. The event attracted some big hitters, including home team Movistar, Canyon-SRAM, Lotto Soudal and Bigla Pro Cycling. The 25-year-old, who won several stages when she competed for Centre Mondial team of the International Cycling Union in 2018, will continue with several events in Spain in March.